This article first appeared in an issue of the Successful Solutions newsletter. Peer mentoring has always been around, as people have taught fellow friends, acquaintances, and partners how to acquire new skills. 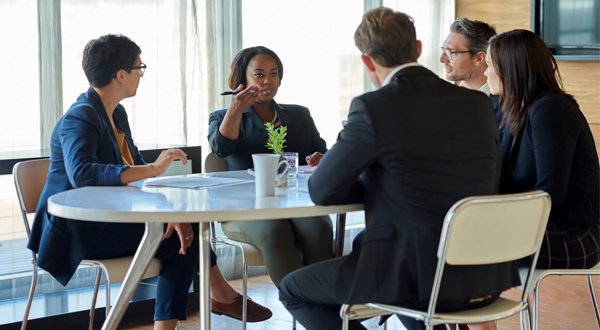 Although this sometimes occurs naturally in the workplace, there is also a real value to helping your organization in establishing a more formal peer mentorship program to benefit the long-term growth of your employees. The mentoring focus is based upon specific competencies or skills the mentee wants to develop. This will help focus the mentees development goals and make the steps to meet these goals more actionable. Specific mentoring goals should be defined. These goals should not be the same as the employees work related performance goals. Instead they should focus on longer term career development goals. The mentor and mentee should meet on a regular basis. This should be based on a mutually acceptable schedule. There are no set rules for how often these mentoring sessions should happen. Ideally the mentoring relationships cross departments and organizational levels. This serves to expand networking circles and to open up the perspective of the mentee. It is helpful to differentiate between Coaching and Mentoring. A coaching relationship typically refers to the interaction between a manager and their direct report to focus on work related performance goals. Ideally, a mentoring relationship is not with the individual’s direct manager, is with someone outside of their daily work circles and focus on longer term career development goals. It is very important to create a safe environment for mentoring to happen. This is one of the ground rules for successful mentoring and the reason why it is suggested that mentoring not involve the person’s direct manager or others within their direct working relationships/hierarchy. A successful mentoring relationship requires rapport and trust. A successful mentoring relationship has its foundations built upon mutual trust. The mentee must have faith that confidences will be kept, especially those focused on career development. A successful mentoring relationship should focus on the positive. Mentoring should be focused on the person’s professional development and career advancement. It is not typically focused on performance improvement needs or the person’s perceived weaknesses. Rather, the conversations are much more beneficial if they focus on leveraging the individual’s strengths and/or helping them to gain new skills and insights. Keep it dynamic! Learn as you go. This advice is for both the mentor and the mentee. A successful mentoring relationship should not be rigid and only focused on pre-defined goals or skill sets. Mentoring should be a process of exploration and learning as the relationship grows. This open minded approach to mentoring will ultimately help the mentee to try on new skills and/or roles and to grow in unexpected ways. The mentoring process should be driven by the mentee! It is common for mentors to feel responsible for the mentoring relationship and to therefore take on scheduling of meetings, the focus of the conversations and tracking of progress. Don’t do this! Although both the mentor and mentee can learn and benefit from the relationship, the main beneficiary is the mentee. Mentoring, in its ideal form is voluntary and self-driven by the mentee. For the mentee to reap the full benefits of a successful mentoring relationship, they must want it, drive it and own it. Helping to establish an internal mentoring program is no small feat and takes support from many sources such as HR, Senior Leadership and internal communications. The above mentoring best practices are ones that we have helped our clients consider when establishing or improving their own mentoring program. Please share your mentoring experiences so we can learn collectively on how to implement internal mentoring programs.